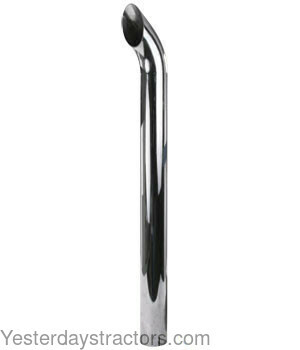 This Chrome Stack is Single Wall, 48 inches long with a slotted, 3.75 inch inside diameter inlet. It is 4 inches outside diameter beyond the inlet. This is a universal part. Verify Measurements before ordering.